I had myself a warm Vanilla milk whilst sitting on the newly placed red table and chairs they had placed in Times Square. Starbucks is always pleasant to go to and never fails to provide that cosy welcome atmosphere. 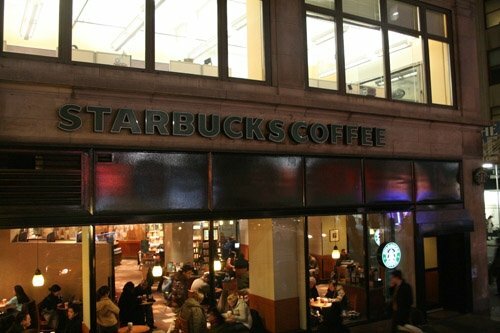 One of mine and B’s pastime when she lived in the same city as me was to go to Starbucks and make up stories about all the passers by and those standing waiting outside the cafe. 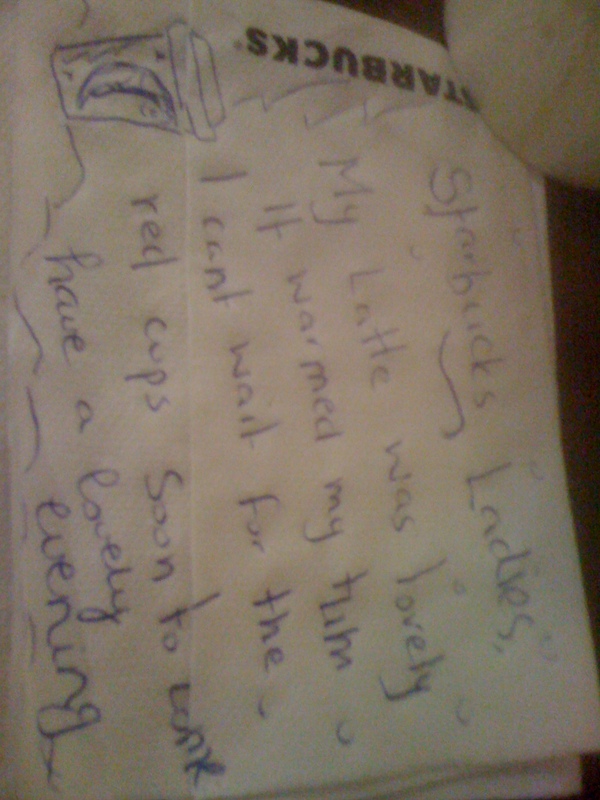 To provide a smile for the lovely Starbucks girls this evening, I left them a little note to create a smile for the day. 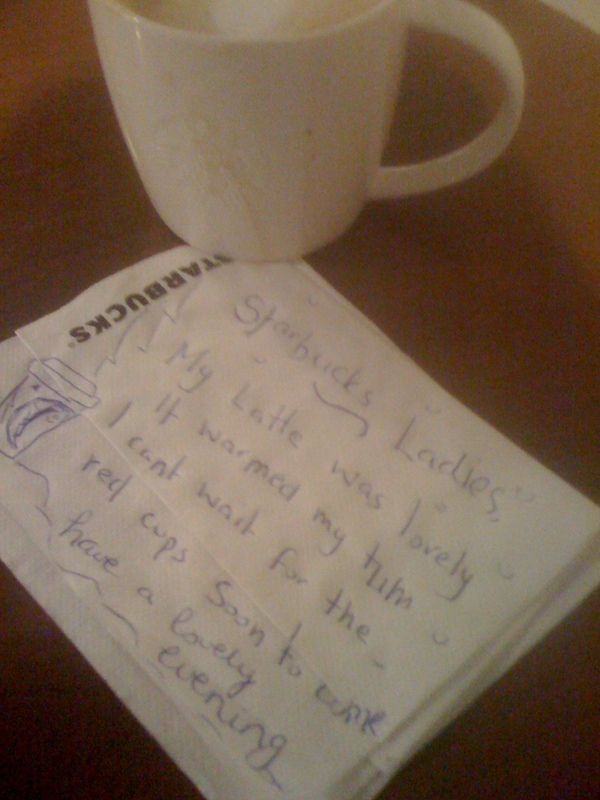 This entry was tagged notes, red cups, smile, starbucks. Bookmark the permalink. Red cups yay! I miss the people watching days.